Holiday drivng can be nerveracking for any driver--traffic jams, parking lots brimming with autos, frayed nerves and shorter daylight hours. The problems are compounded when faced with aggressive drivers. According to according to the National Highway Traffic Safety Administration, more than a quarter of all traffic fatalities recorded in 2016 were caused by speeding, Officially classified as as “Aggressive Driving,”speeding reduces reaction time and increases probability of crashes. "Aggressive drivers who do not follow the rules of the road are a hazard to all motorists, bicyclists and pedestrians on the roadway," said Kara Macek, senior director of communications and programs for the Governors Highway Safety Association. Traffic Congestion. Congestion on the roadway is one of the most frequently mentioned contributing factors of aggressive driving. 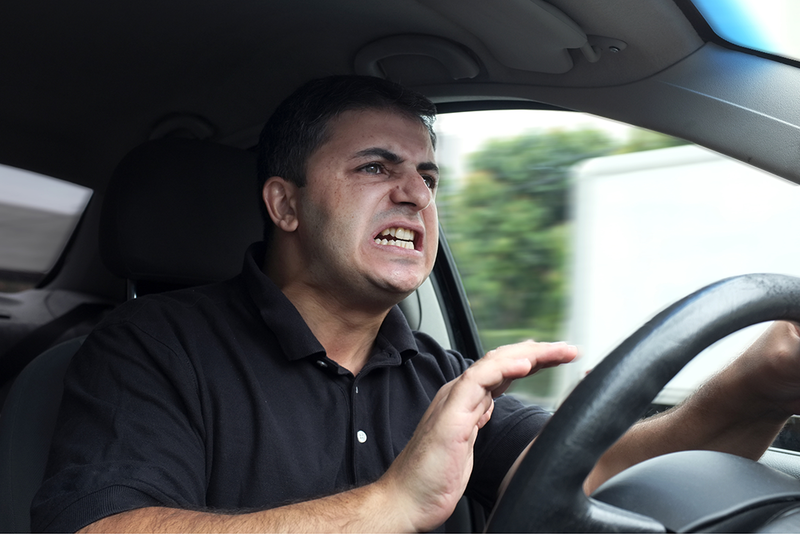 Drivers may be prone to aggressive driving tactics like excessive lane-switching or growing angry at those they feel are slowing their progress. Running late. Drivers who are late for an appointment are often tempted to speed, hoping to “make up” for lost time. Anonymity. A vehicle protects (and insulates) a driver from the world. This protection from the environment can see a driver develop a sense of detachment, as if they are merely an observer of their surroundings--rather than direct participant. A belief that they cannot be seen by others, or that they will never see the people they share the road with again, causes some people to feel less constrained by their behavior. If you are in the left lane and someone behind you wants to pass, move over and let them pass. Allow plenty of space between a speeding vehicle. A vehicle that’s speeding might suddenly lose control. Move away and do not engage with erratic drivers. If you find a driver tailing you. switch lanes and let them pass. Getting harassed by a driver? Alert authorities.